Richard Le Gallienne (1866 - 1947) was born in Liverpool, England. 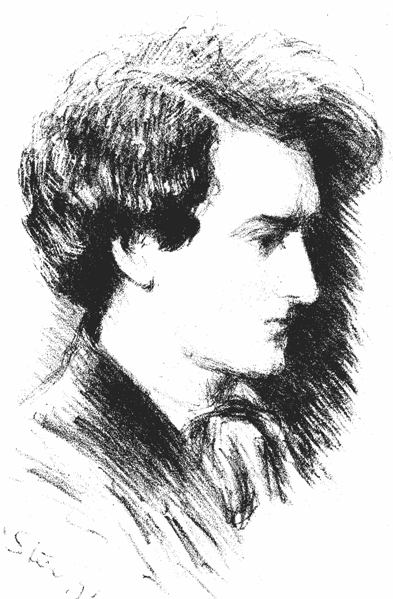 A contemporary of Oscar Wilde and W. B. Yeats, he was widely published but tended to be more of a romantic than his counterparts. He moved to the U.S. in 1903, hoping to breathe new life into his writing career, but his continued preference for sentimental styling kept him out of sync with American tastes of that time. He moved to Paris in 1927 and began writing a weekly column for the New York Sun, which was a perfect venue for his romantic style of writing . A compilation of some of those columns won Le Gallienne an award for "best book about France by a foreigner." In the course of his life, Le Gallienne wrote nearly ninety books and innumerable articles. this poem reminds me of my sister Carole - in Cape Breton - she lived this! I memorized this poem almost 50 years ago, in 7th grade. It still calls me, in spite of or because of being an overly busy physician! I can easily step into this reflection. Sorry to hear that the USA was not ready for him at the time. Gentleness is so badly needed. Great find. The title made me cringe as my mind rushed to my own work . . . but the poem's lightness brightened my day. Astute observation and great outlook, Kay. Cool little poem. Ah, yes! I can identify with this! This poem is my motto! Wonderful similarities between childhood and retirement.